Q: I need to know if all these products are search engine friendly? 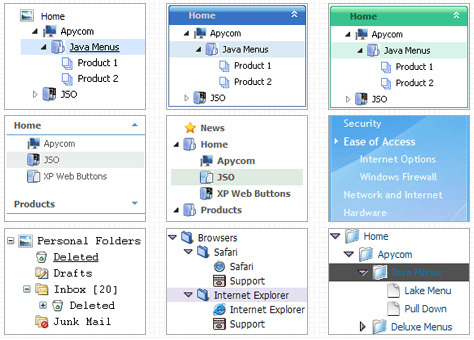 Q: Hi, I need to know if it is possible to accomplish the following functionalities with your tree-menu library. 6. How would the tree behave with 10000 nodes?? such as a DIV or SPAN (fixed area). When collapsed or expanded, the area should remain its original size. A: 1. You can add any number of the menus on the one page. 2, 3, 5. Yes, you can do it. But you should create your own server-side script (for example, php) that will do it. The menu doesn't support such a feature. 6. It is possible that the loading speed can be lower if the menu is very large. But it doesn't take so much time. Yes, you can notice some delay in IE, but in over browsers it works better. Q: Ich habe ein Problem mit submenus. Es erscheint, dass es eine Grenze auf der Breite eines submenu Punkt undals ein concequence gibt, wenn Sie den Punkt herumdrehen, zwingt es den Kasten, nach rechts zu rollen. Gibt eseine Kappe auf der Breite von submenu Punkten? Ich kann nicht scheinen, diese Ausgabe aufzuheben. Es geschieht, wenn ich sowohl CSS als auch die Standardaufstellung auf dem Menü benutze. Q: I’m looking for a popup multilevel menu. I think from your website that your menus will do this for but I can’t figure out using the trial version how to do it. Obviously I can’t put the standard <script>… as described in your sample. 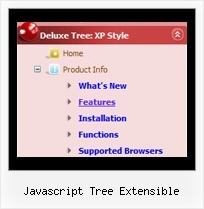 Better navigation with DHTML tree menus created with PHP and XML The DHTML TreeMenu is an extremely useful widget for developers who need a simple, extensible navigation system for a Web site.